Berry Petroleum drill site near Western Ave The beautiful home in the lower right is also surrounded by drill sites immediately east and west and south! 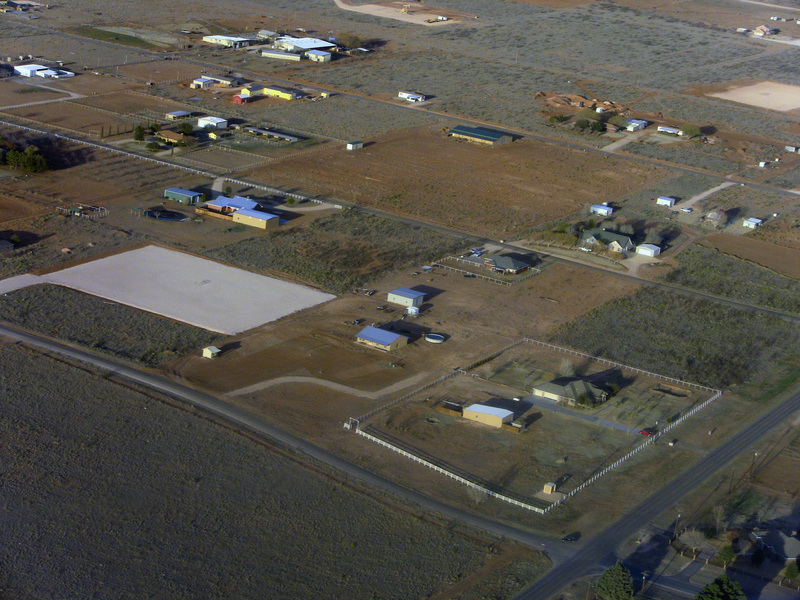 Berry Petroleum drill site on Windsor Note the caliche pad is larger than the neighboring 2 homes combined! Berry Petroleum drill site on Hwy 158 Pipeline “super highway” buried 50 feet from this home. 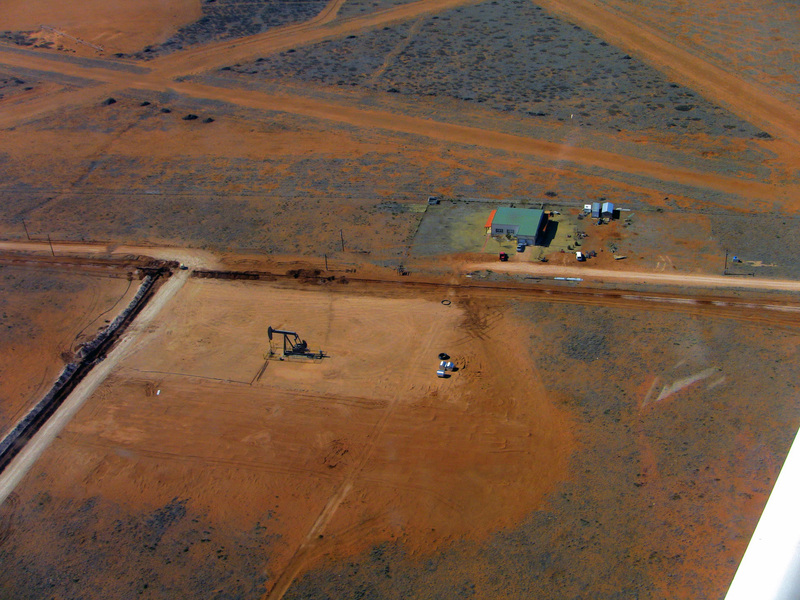 Berry Petroleum, a Delaware Corporation doing business in Texas, having acquired the approximately 12 square miles of mineral rights underneath Gardendale, Texas, and having an ongoing plan for mineral exploitation that includes the possible drilling of 300 plus wells within the community of Gardendale, and having displayed a modest but insufficient consideration for surface owners and residents is hereby notified of these Articles of Accountability. Our American society, from its founding until the present day, has recognized that ‘no man is an island’ and embraced, to one degree or another, the principles of contributing to the public good, care and support for those less fortunate and protection of the weak and vulnerable. We believe amassing wealth and power brings with it a superior obligation to do good. Berry Petroleum, a multibillion dollar corporation having leased approximately 12 square miles of mineral rights in the Gardendale area and purchased 60 plus parcels of land has become the single most powerful economic entity in Gardendale. It would be safe to say that the economic worth of Berry Petroleum is likely to exceed the economic worth of all of the residents of Gardendale combined. As the most powerful landowner and economic entity in Gardendale, Berry Petroleum has incurred the corresponding greatest moral responsibility to be a ‘good neighbor’. Berry Petroleum, in its proper role to fulfill its obligation to make money for its shareholders, has overlooked the toll its projected actions are having on the residents of Gardendale. The root cause of this oversight is simple; the employees and executives of Berry Petroleum don’t live in Gardendale; to them the development of the minerals underneath Gardendale is an economic, engineering and public relations exercise. Members of GARDAP are surface owners, residents of Gardendale, shareholders, and (as stated by some) amateur members of the media. Accordingly, we present to Berry Petroleum the following course of actions it should take to be truly accountable. Accordingly, while there could be multiple stakes on a given tract of land, it is not necessarily the case that all of such locations will be drilled. We encourage landowners who have questions as to which stakes on their property are valid to contact Gray Surface Specialties with the lot and block number of their property so we can come out and determine the validity of the stakes and answer any other questions they might have. (www.commongroundgardendale.com, FAQs). It is Berry’s responsibility to remove its own invalid stakes without being asked. Leaving invalid stakes in place is contrary to the ‘reasonable use’ principle in law. It is unreasonable to expect the surface owners to restrict normal enjoyment and use of their property in areas known, by Berry Petroleum, to have invalid stakes. Staking and restaking are immensely distressing to surface owners. Therefore, Berry Petroleum should immediately cease staking until all invalid stakes are removed and its ‘geologic interpretation’ is complete. Article Two: Closing a reserve, or mud pit, even using ‘best industry practices’, unreasonably restricts the surface owners normal use and enjoyment of the land over the covered pit. The Railroad Commission recommends ‘doming’ of a pit in order to keep ground water from collecting over it. This dome could permanently prevent normal building activities. Drilling a water well on top of a closed pit would pierce the capsule allowing chemicals to leach downward towards the water table. As covered pits are not properly identified future generations will have no idea where the encapsulated pocket of toxic drilling chemicals is located. Berry should immediately remove all mud pits, open or closed, in Gardendale. Berry should firmly commit to exclusively drilling all future wells using the closed loop system alone, and, post on their website, all results of mud pit samples with their locations noted on a map. Berry is investing an estimated $6 million to $8 million in a centralized gathering facility and infrastructure that will greatly reduce the amount of heavy truck traffic, noise, flares and odors from Berry Petroleum’s operations in the Gardendale community. Installation of pipeline (gathering system) to the central facility began in August. We anticipate this pipeline installation process will be complete in October 2011. Construction of the central facility is scheduled to start in late August or September 2011 with November 2011 as our target date for the central facility and gathering system to be operational. (www.commongroundgardendale.com, FAQs). A recent lightning strike in Greenwood underscored the potential danger of having tank batteries in a residential area such as Gardendale. At the completion of the centralized gathering facility Berry should remove the existing tank batteries with their associated equipment scattered throughout Gardendale and restore the locations. The amount of setback of a pad site from any structure is variable and highly dependent on geologic, operational and economic considerations, but, in any event, no closer than allowed by applicable regulations. Berry is still in the early stages of developing its plan for Gardendale, and every single well and every single landowner has a unique situation which we are dealing with directly. (www.commongroundgardendale.com, FAQs). Berry Petroleum claims it won’t drill any closer than that which is allowed by ‘applicable regulations’. Berry Petroleum understands that there aren’t any regulations limiting how close it can drill to a dwelling in Gardendale and has stakes within 150 feet of some homes and a church. Berry should admit it’s only limitations are operational and accordingly, establish a voluntary setback to residences, businesses and houses of worship of 300 feet. Berry Petroleum should agree to aggressively pursue horizontal and deviated drilling and begin drilling first in those areas in which it knows these drilling methods will work. Berry Petroleum should grant the Common Ground Committee the right to grant a limited number of humanitarian waivers. Humanitarian waivers should be granted for staked sites whose drilling will cause intolerable distress for surface owners and residents that are ill, elderly or whose health will be seriously compromised by the activity. Surface owners should be able to apply for waivers according to standards established by Berry Petroleum and the Common Ground Committee. Many residents of Gardendale have negative opinions towards the land company representing Berry Petroleum. In order to improve relations Berry Petroleum should establish, publish on its website and enforce an ethical protocol to be followed by its land company representatives. In addition, Berry Petroleum should provide a complaint hotline for use by Gardendale residents manned by a senior company employee. We the members of the Gardendale Accountability Project, have pledged ourselves to the protection and preservation of our member’s property and homes With these Articles, we charge Berry Petroleum to fulfill its obligation of due regard and accommodation under the laws of Texas and the commonly accepted moral principles given to us by God. Berry Petroleum’s actions in Gardendale will permanently alter our land, our homes, and will impact not only our lives but the lives of our heirs. Berry Petroleum will be judged by history to be a company that behaved justly, compassionately and improved our community while performing its business, or, as a heartless corporation motivated solely by profit to the detriment of the citizens of Gardendale. To date, Berry Petroleum is on its way to becoming a curse word in Gardendale. This can be changed. We urge Berry Petroleum to adopt these Articles and change the die that has been, either intentionally or unintentionally, cast. federal law or Berry protocols be found, the appropriate actions will be taken. This email was sent to Berry Petroleum’s PR firm, KGB Texas of San Antonio. I will once again make an attempt to open a dialogue on this site, I have made several attempts and you do not respond as you indicated in the first meeting at Odessa College. With that said I will once again ask you to stop using HOOPER trucking from Odessa Tx in the Gardendale area, this morning in less than 200 yards visibility they were out on the road bootlegging a Keen drilling rig, I worked in this industry for 30+ years and can recognize illegal trucking easily I asked in an earlier mail to this site for Berry to ban Hooper from working in Gardendale, Berry is ultimately responsible for the subcontractors they either directly or indirectly bring into our community now I think it is time to ask that you also ban Keen drilling since they are also responsible for incorporating Hooper into the mix and allowing their property to be transported illegally. When you move a rig in the field this is acceptable but once you get on taxpayer funded roads there are laws regulating behavior of those utilizing this resource. Drilling rigs are designed to be moved and are also designed so they can be reduced in such a manner that they have been reduced as far as possible, over-dimensional permits are the responsibility of the trucking company and the company hiring the service, since it is painfully obvious Keen is taking shortcuts when moving the rigs and Hooper is also taking advantage of the situation you should step in and stop this lawless activity before someone is hurt might I remind you this is a recorded forum you have supplied so there is a record of my asking Berry to step in and correct this immediately. 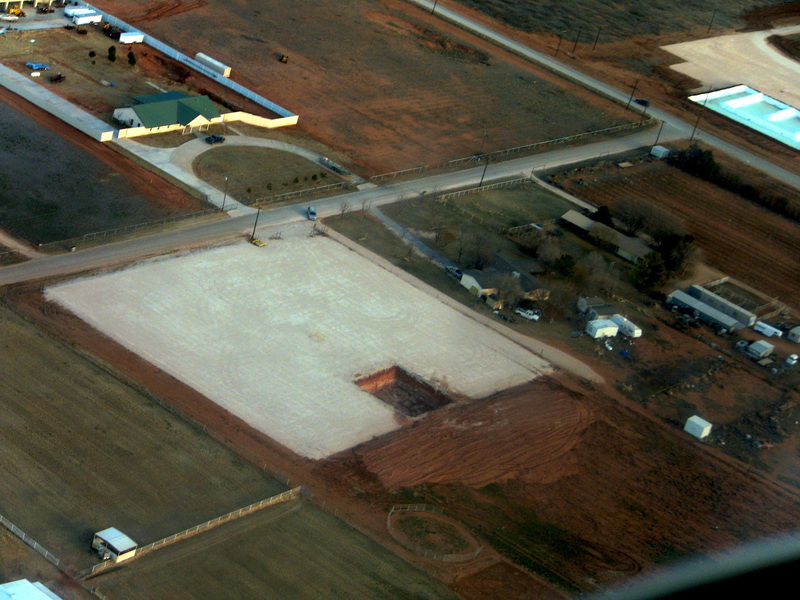 An analysis of the “SURFACE USE LETTER AGREEMENT” provided to a surface owner in Gardendale, TX by Gray Surface Specialties during the month of October, 2011. (1) The payment of $10,000 for the Gardendale “X” Well #X, which includes any and all damages due to the location and construction of the well pad, its associated pits, roadways, pipeline/flow lines and electric lines. For $10,000 this landowner gives up 1 acre, the roads, buried reserve and mud pits, all roads necessary, pipeline and electric lines for the rest of their lives. Location of this well will prevent many other types of uses of the surrounding property around the well…for the rest of their lives! If they sell the property, this agreement goes with it! You tie up your land for the foreseeable future for $10,000. The money offered can’t buy you a new pickup or remodel your kitchen. Note the words ‘reasonable’, ‘takes into consideration’ ‘extent reasonably practical’. This clause gives them the right to do what they feel is reasonable after they listen to your concerns. If you disagree their definition of ‘reasonable’ is the definition they will use, not yours! Of course, you can go to court and sue them….better have a lot more than the $10,000 they gave you! (4) Operator, their agents, employees and contractors agree to use reasonable care in the performance of their drilling, completion, operating and abandonment operations and to adhere to all applicable regulations of the Railroad Commission of Texas (RRC), the Texas Commission on Environmental Quality (TCEQ) and the Environmental Protection Agency (EPA). Upon conclusion of drilling and completion operations, Operator agrees to dewater any drilling pit or earthen storage pit by evaporation or trucking away the water, to cut away and remove the pit liner above the mud level in any drilling pit or earthen storage pit and to close the drilling pit or earthen storage pit per RRC guidelines. Ask for a copy of all applicable regulations! You will find out that they have wide latitude in what they can do. If you think the RRC is in your corner you need to think again! This agreement allows them to bury reserve/mud pits on your property. Gardap has tested two such pits and discovered that they contain elevated levels of benzene, a known carcinogen, and other unhealthy chemicals. It is not just mud! So much for Berry’s ‘commitment’ to use closed loop systems in Gardendale! The provisions hereof shall be binding upon and inure to the benefit of the respective heirs, devisees, legal representatives, successors and assigns of the parties herein. Operator’s rights under this Surface Use Letter Agreement shall be in addition to, and shall not diminish, any and all rights of Operator under its Oil and Gas leases covering all or any portion of said lands. This portion means your heirs and successors are bound by this agreement for a very long time. You also agree to a document that you are not a party to, gain nothing from, did not sign and have no idea what it contains; the Oil and Gas lease! Received from….the sum of……in full settlement, satisfaction and discharge of any and all claims for injury to lands owned or leased by me that have or may result by reason of the location, drilling, operating, producing, and/or abandonment of the _____Well No……I hereby RELEASE the said ____________ and its subsidiary companies, their successors and assigns, from any and all actions, causes of actions, claims and demands for, upon or by reason of any damage or loss which may result or be sustained by me in consequence of moving materials, drilling, or operation and/or abandonment of such oil and gas well located on the land above described. Notwithstanding anything to the contrary herein, this release shall only cover claims for damages arising in the normal course of reasonable operations. This release shall not be deemed to cover any claims for damages arising, in whole or in part from abnormal and/or unreasonable operations or the negligence or gross negligence of the release, its agents, employees, or licenses. Exhibit “A” is the crown jewel of this document. As long as they do what they believe to be reasonable you have no right to any claim. Gardap recommends you think very carefully before you sign a document like this. In it you agree to a small payment for use of and damage to your land. You allow them to do what they want whenever they disagree with you as long as they listen to your concerns. You agree to documents that you have never seen, had no part in, and don’t benefit from, and finally, you let them off the hook for damages and actions they consider ‘reasonable’. Whose definition of ‘reasonable’ do you think they will favor when you disagree with them? Yours? A landman may tell you that you might as well sign because they have the right to use their land anyway. The mineral owner does, in fact, enjoy the privileges of the Dominant Estate doctrine. If this is true why would they offer you any money at all? To be nice? Don’t kid yourself. We believe they really want you to sign this document in order to obtain the release of liability it contains. It can also be used to encourage you to keep your mouth shut when you have a complaint. This release of liability is important to their insurers, risk managers and investors. Most Gardap members have decided that the money they offer falls far short of reasonable compensation (our definition of reasonable, not theirs). The author of this analysis, having experience in negotiating many contracts in another type of business, thinks the agreement offered by Gray Surface Specialties on behalf of Berry Petroleum is the most egregious he has ever seen. In his opinion, it should not be signed without major changes.